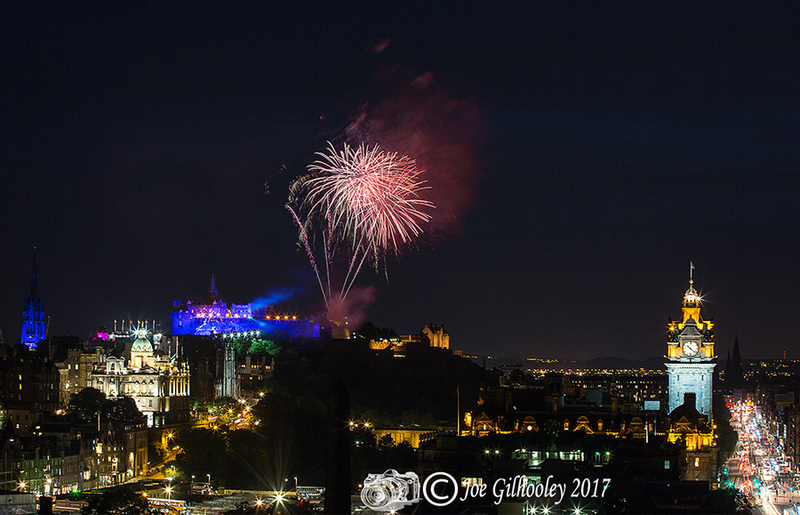 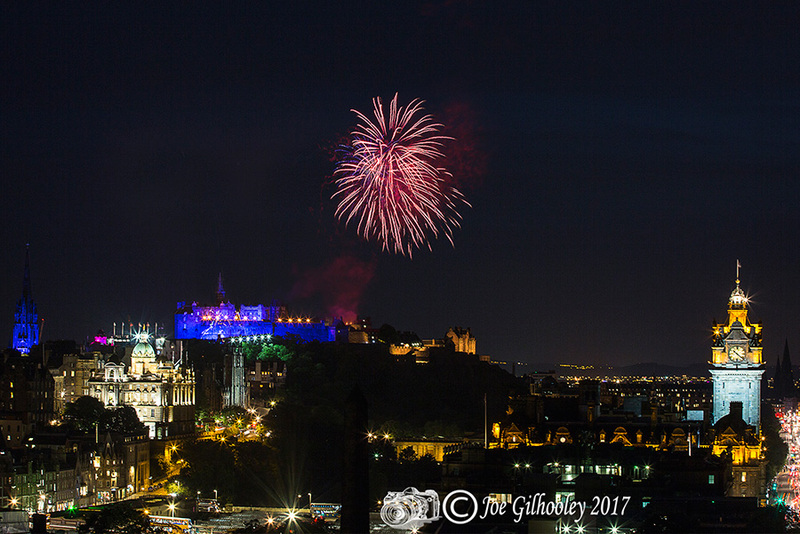 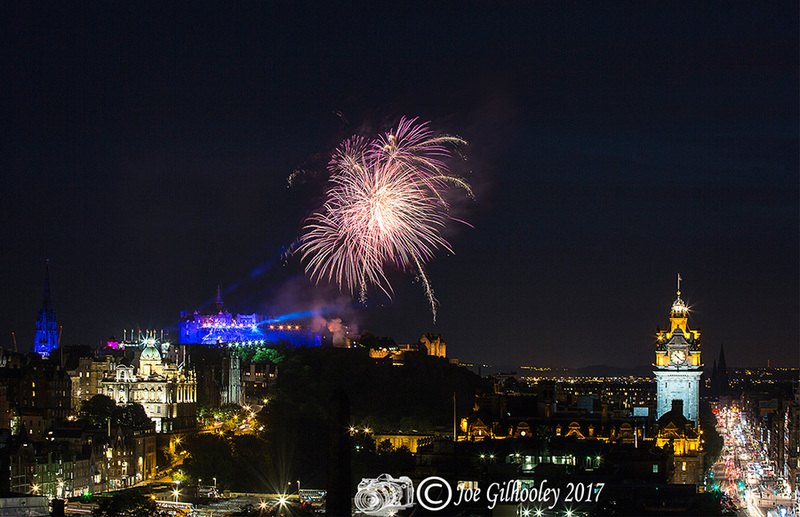 10th August 2017 - Edinburgh Military Tattoo Fireworks. 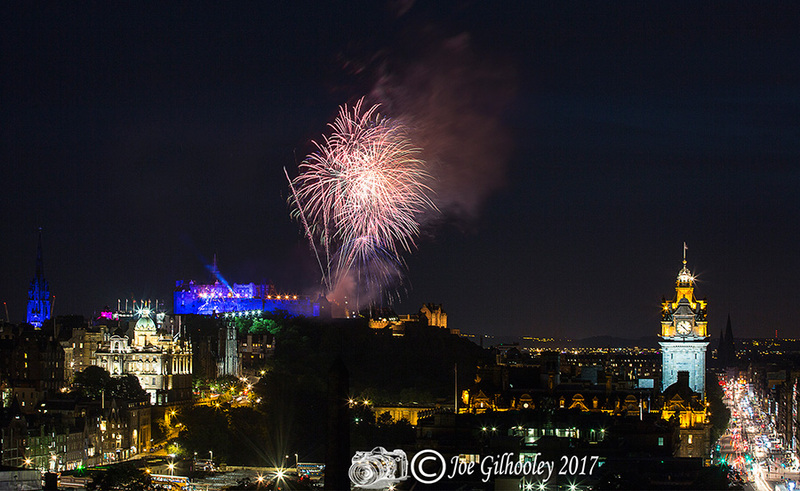 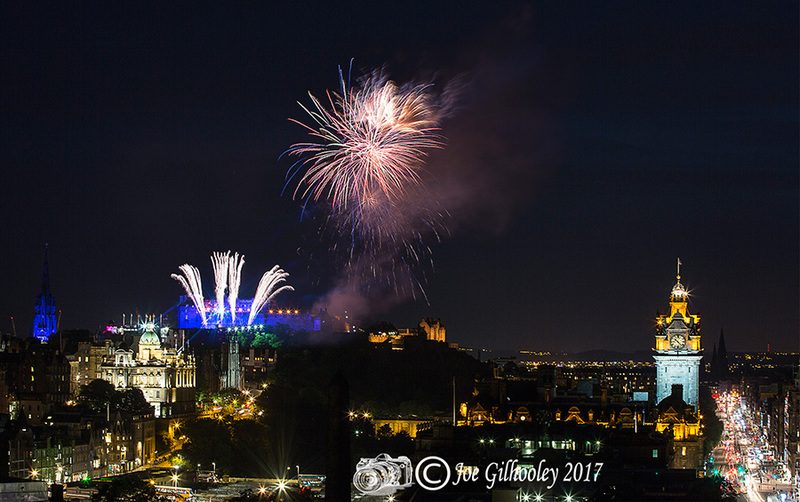 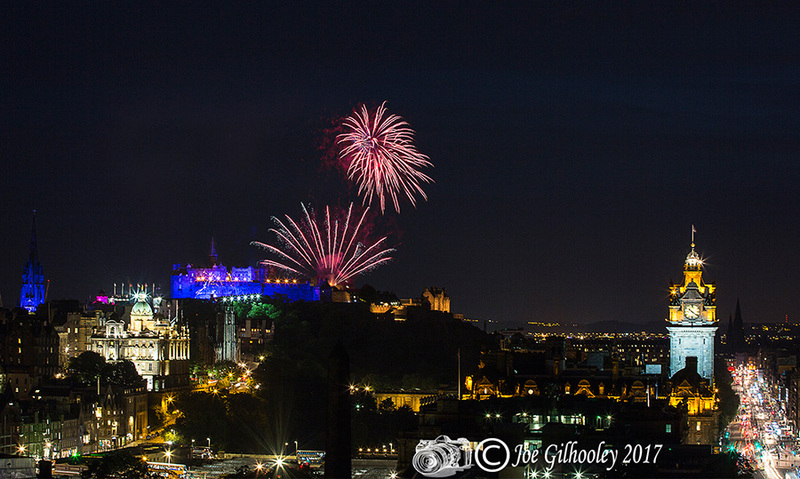 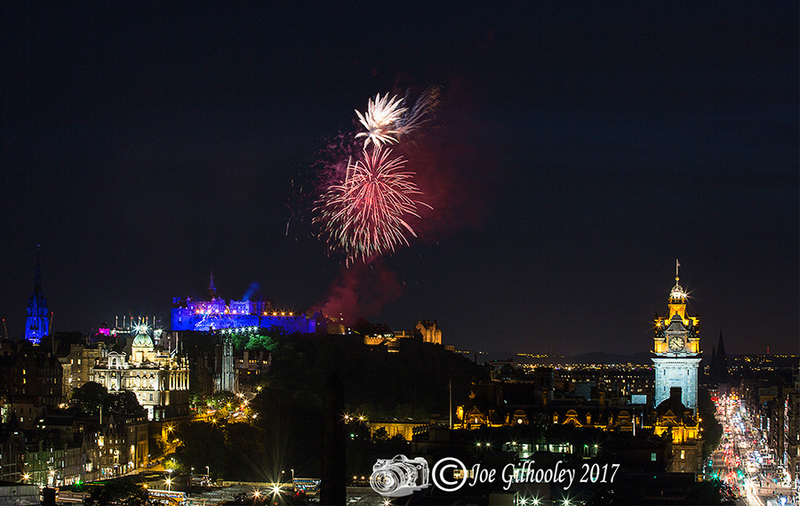 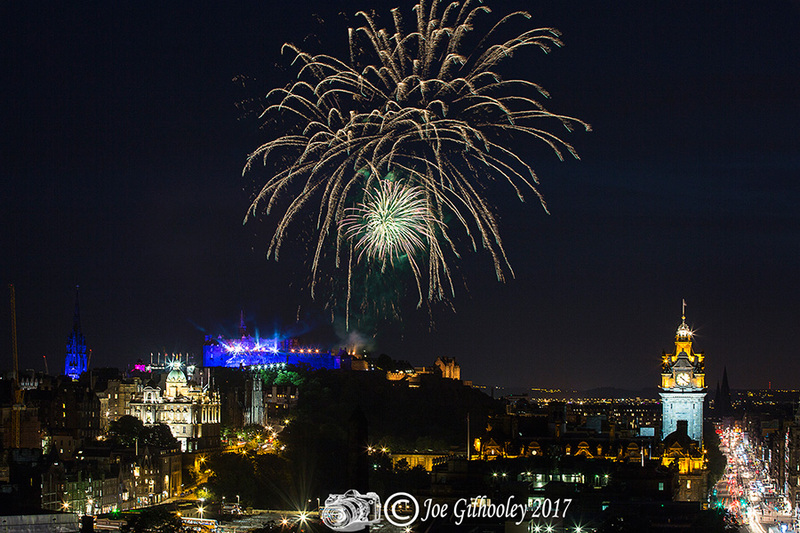 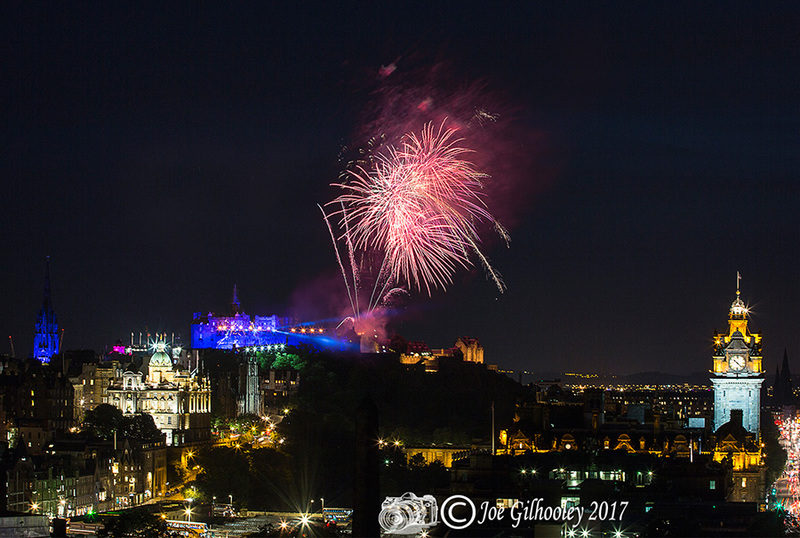 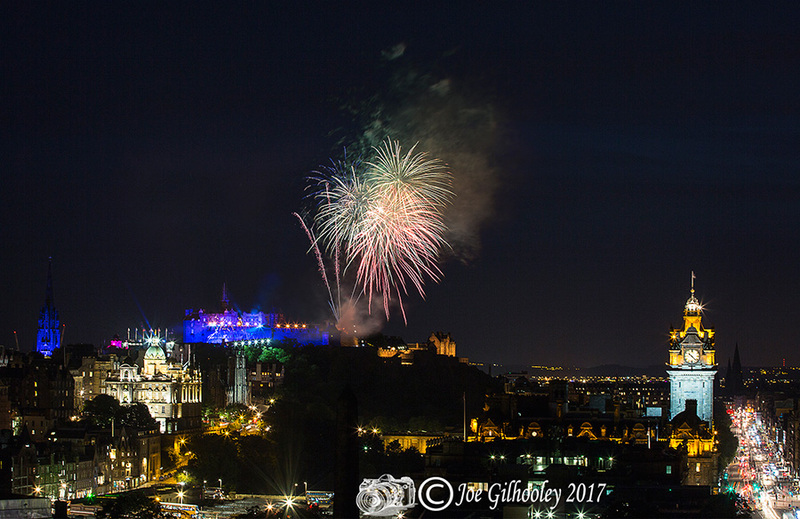 Another visit to Edinburgh to photograph this wonderful pyrotechnic display over Edinburgh Castle. 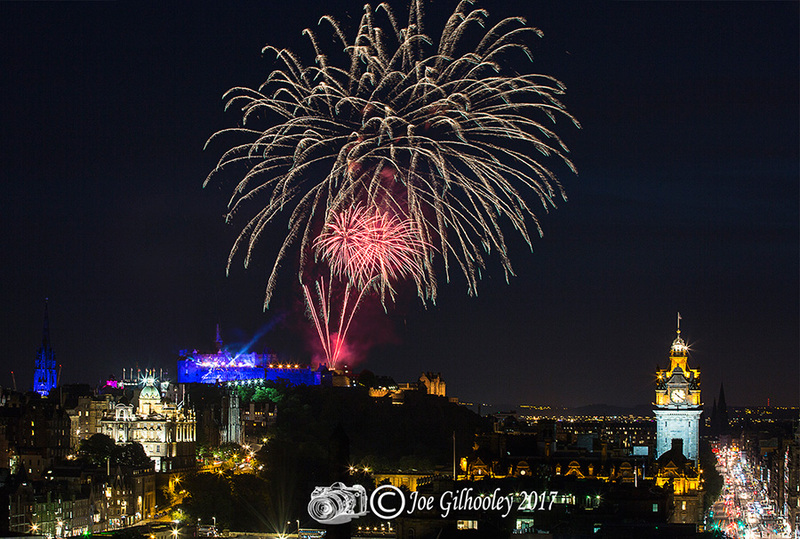 This time I went for a wider view showing the Edinburgh city centre skyline from Calton Hill. 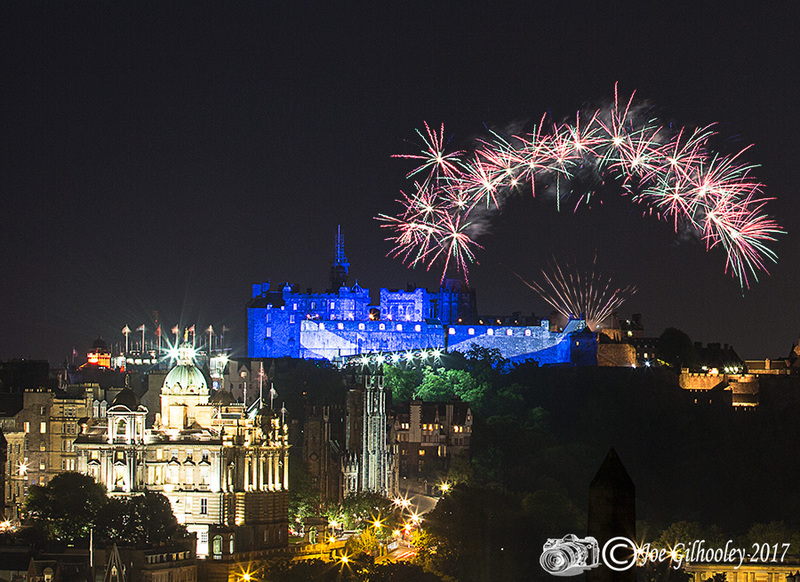 Amusing addition , The Balmoral Hotel clock tower was in darkness. 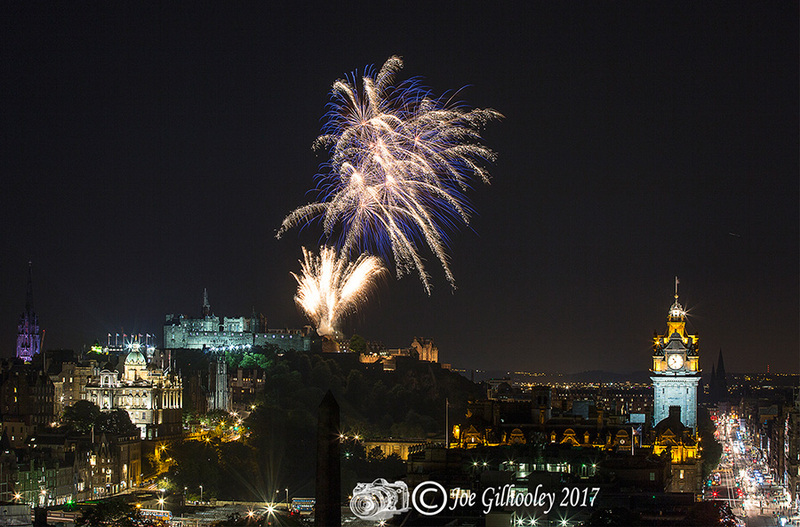 I phoned the hotel on my mobile. 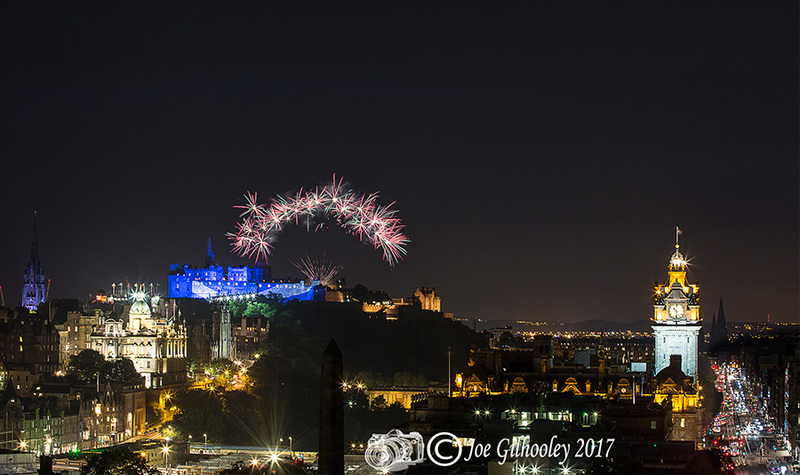 They had forgotten to switch the lights on. 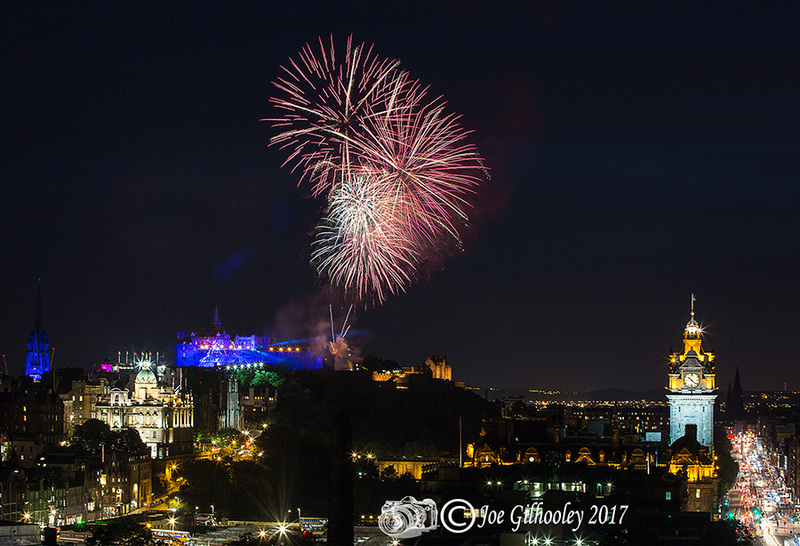 They assisted by switching them on in time for the fireworks. 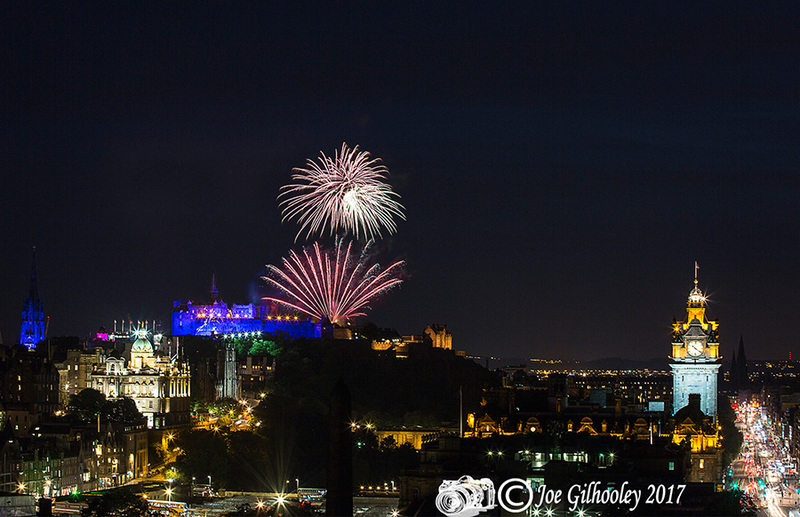 Thank you !! . 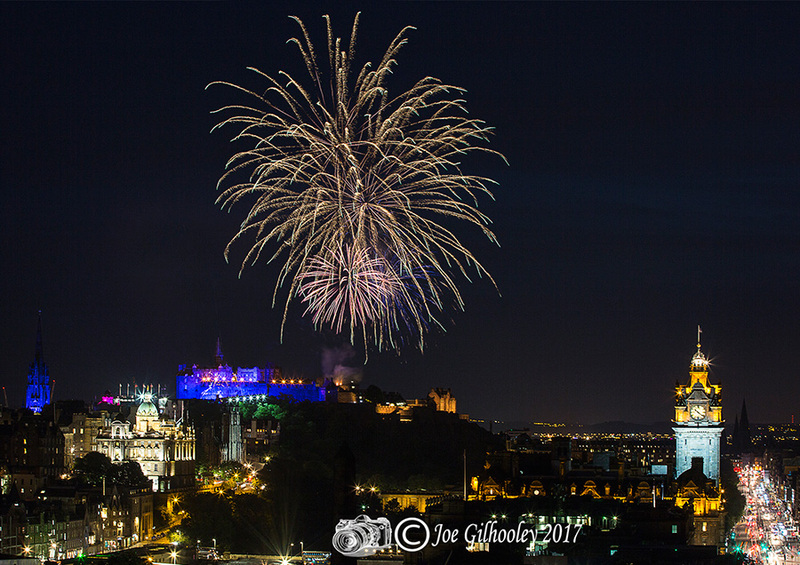 Makes such a difference to the final images.